Since 1972, McIntosh Perry has been providing building owners and managers with the information they need to plan more effectively. Whether you’re buying, selling, or planning for future repairs, you need to know what’s really going on and you need expert recommendations about next steps. We have completed over 20,000 building condition assessments for everything from single properties to entire portfolios for both the private and public sector. Our engineers and building materials scientists dig deeper to uncover potential problems, analyze risks, and provide you with information you can rely on. Our clients include the City of Toronto, as well as H&R REIT and CAP REIT, the largest commercial and residential portfolio owners in Canada. Our reports are accepted by banks like CIBC, BMO, and TD, and are trusted for their financial approvals processes. Ask us for a free quote for your property condition assessment needs. Call toll free 1-888-348-8991. Depending on your needs, you can choose from our comprehensive list of services. Pre-purchasing and re-financing reports. Investing in a new building or refinancing your current building means you need to know the full picture about any issues, their urgency, plus associated future costs. Pre-lease and end-of-lease assessments. Our condition surveys can protect you and your tenant. Managing expectations on all sides will help you enjoy a trouble-free leasing experience and can mean a smooth leasing renewal with existing tenants. Pre-construction surveys and post-construction surveys on neighbouring buildings. Constructing a new building can have an effect on neighbouring properties unless properly planned. A McIntosh Perry building condition assessment can help you manage potential risks so that nearby owners don’t come knocking for damage payments later on. Environmental assessments (both Phase 1 and Phase 2 as per CSA and MOECC) Standards). Making a financial decision can be challenging when you’re not aware of a building’s full history. A residential building may be built on the site of a former dry-cleaning business, for example. With soil and other environmental tests, you’ll know about any conditions that may put you at risk for future cleanup costs. Capital planning. Upkeep costs may be inevitable, but timing expenditures can help create financial breathing room and even reduce costs overall. We’ll help you make smart decisions so that you preserve the value of your property without needless spending. Accessibility audits. Provincial regulations like the Ontarians with Disabilities Act help ensure that everyone can safely use any large building. 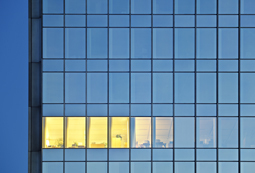 If you don’t know if your building complies, finding out sooner can help avoid fines. Fire safety plans and reviews. Having an easy to follow fire safety plan is essential to avoid tragedy and prevent potential legal situations. No matter which way you look at it, it just costs less to follow the rules. Our surveys can cover everything from the building envelope, to mechanical systems, to recreational amenities like swimming pools, and even soil/groundwater condition. We can also include additional evaluations like performance audits for energy efficiency on request. We understand that your time is valuable. That’s why our reports are written in plain English and synthesize information effectively, highlighting recommendations. We include photographs and technical data so that you get the full picture and can confirm the details for yourself. If there’s a known issue of concern, we can provide video footage on request for additional clarity. You simply cannot get better depth of knowledge, information, or service anywhere. Our building audits are performed to ASTM Standard E 2018-15, and we are have qualified professionals with provincial associations nationwide such as the Engineers and Geoscientists of British Columbia, the Association of Professional Engineers and Geoscientists of Alberta (APEGA), the Professional Engineers and Geoscientists of Newfoundland and Labrador (PEGNL), and the Professional Engineers of Ontario (PEO). Rick Derbecker (B.Tech., CEI, GRP, LEED AP), our VP of Building Services, has over 25 years’ of experience evaluating buildings of all kinds across Canada. He leads a hand-picked team of building engineers, materials scientists, and other technical experts that understands the full building life cycle. They work together to provide all the information needed with maximum efficiency. Our experience has also led to the development of an internal database of real world lifespans for a variety of materials in all kinds of conditions across the country. In urban environments, for example, we understand how things like traffic vibration and road salt spray can have a greater effect on the condition of your property over time. Environmental standards, fire code regulations, and accessibility requirements can change. That means the same building may pass inspection one year, and require improvements the next. Our experts have a full understanding of all the current requirements (and often future ones too, thanks to our forward-planning philosophy). We can help you future-proof your building now, when it’s less expensive, so that you save money in the long term. We can help you understand the easiest ways to upgrade safely so your building is up to code. Because we’re professional engineers and not contractors, our conclusions are based on building and materials science. Our professional code of conduct means that you get guaranteed standard of investigation with honest reporting on risks. Our clients rely on us for answers to construction problems every day. We have a long history of coming up with innovative solutions for buildings, transportation infrastructure, and planning for entire communities. If your building requires restoration services, we can create an action plan and manage the work for you. We’re happy to work with your preferred contractors or propose names we know and trust. McIntosh Perry can give you the information you need to plan for your future. Our long history and wide customer base means we’ve had time to develop efficiencies that give you full value for money. If you’re looking for the full picture on your property, ask us for a free quote. Call toll free 1-888-348-8991.